Residential demolition is a long, arduous process that can bring anxiety to any home or property owner. The mere idea of tearing down or removing a part of your property can cause stress and worry throughout the entirety of the process. This stress is especially prevalent if, as you watch the demolition, you don’t have an idea of what is happening or why it is being done. You’re not alone. With an average of 270,000 homes torn down annually in the U.S., there are plenty of property owners going through the same stress. The fear of discovering an unknown weakness in your property’s structure, hidden materials in your property’s structure, and safety are all key concerns when it comes to residential demolition. 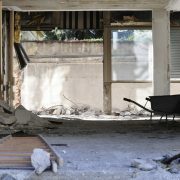 As a property owner, you should know exactly what is going on throughout the process of residential demolition. Not only will this ease your mind, but it will give you insight as to why your contractor is working in a chosen fashion in order to do the job safely and correctly. 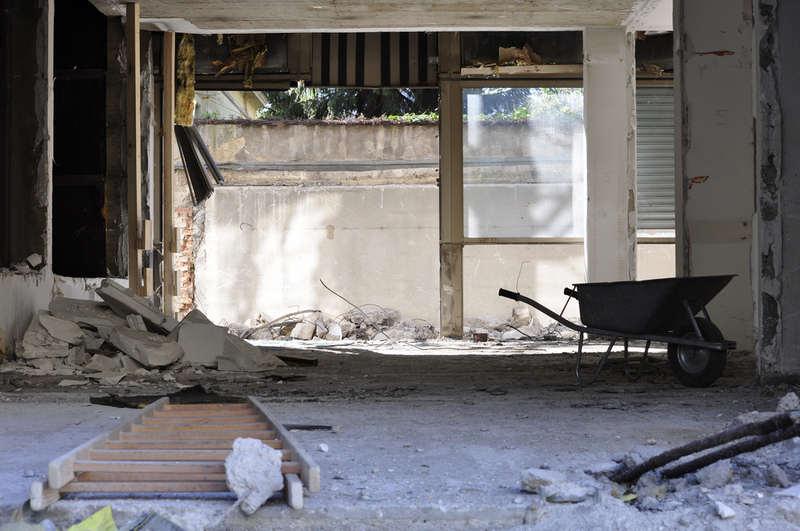 Today, we’re taking a look at several different forms of residential demolition and letting you in on what you need to know to get the best experience out of the process. Concrete contractors often have to demolish portions of concrete driveways as part of their job. Commonly, however, concrete-specific contractors do not actually specialize in driveway demolition. Safety is one of the biggest concerns in any demolition project, but this is especially prevalent in concrete driveway demolition. Concrete driveway demolition should only be done with the proper tools to avoid injuries. Additionally, face and eye protection should be worn throughout the process to avoid the small, sharp fragments of concrete chips and splinters that can fly up from the demolition and pierce the skin. An excavator or a ball and crane may be used for large-scale concrete demolition projects and should be managed safely. A good contractor will know how to handle these tools correctly and use them efficiently. The ball on the ball and crane, for example, should not exceed the lower of 50% of the crane’s rated load capacity. It should also not exceed 25% of the breaking strength of the rope or chain on which it is suspended. There are several different scenarios in which demolition of a deck or a patio can take place. Whether you are replacing it or getting rid of the extension completely, there are several factors that will change the complexity and the process of deck or patio demolition. If your deck is larger than the average deck, it will be more expensive to remove, take more time, and require more labor. Deck timbers are usually pressure treated with certain chemicals that make it illegal to burn them, as would be traditionally done in waste removal efforts. If your deck is made of this material, waste removal may be more expensive. You may want to consider getting a dumpster to haul away all of the debris. Make sure you know your contractor is responsibly hauling away and disposing of any waste that your demolition project produces. Construction-wise, your bathroom is a sensitive area with plenty of glass, water pipes, and electrical wiring. Before your bathroom demolition project begins, it’s best to have a plan of what you want to replace it. First, your contractor will shut off the electricity and the water going to your bathroom. All water must be drained from your fixture’s pipes, so your contractor will likely turn on the faucet for some time until it stops running. All wall fixtures and mirrors must be removed. Removing the shower, bathtub, and commode are the most time-intensive aspects of your bathroom demolition that require patience and a careful eye. There is no such thing as taking a sledgehammer to it, especially when water is involved. The first step to removing a bathtub or shower stall is removal of all handles and spouts as well as the metal drain basket first. Secondly, tub or stall walls are removed to make room. After that, a contractor will be able to use a utility knife to break through the caulking holding your tub or shower stall in. This should allow for easy removal. Removing the commode takes a little more concentration as each step unfolds. The threaded inlet supply pipe beneath the bottom of the toilet tank must be separated from the tank and the supply line valve. The tank should then be removable, but this process varies based on the age and style of your toilet. If your contractor is using a different method, don’t be afraid to ask about the process and how it will affect your bathroom’s opportunity for remodel. Depending on the style of your bathroom your utilities, the process could call for different measures or techniques that a good contractor will be happy to explain to you. Carpet and flooring removal are some of the most popular DIY demolition projects, but there are plenty of dangers that come with carpet and flooring removal that can cause trouble if you’re not careful. A contractor will likely remove any doors that swing into a room before you begin removing the floor or carpet and will proceed by removing the carpet from the tack strip alongside the wall. They will then begin to slice the carpet into manageable strips with special tools that make it easy to get the exact cut necessary. When it comes to flooring removal, the process will vary dramatically based on whether the floor is tile, linoleum, or wood. For the most part, homeowners agree that flooring removal is one of the most frustrating home remodeling tasks and often decide to just put a new floor over the old one. Talk to your contractor to figure out how they plan to tackle the flooring project and why they’re deciding to take the measures planned. It’s important that you make the decision as to whether you want to preserve the floor underneath your carpet or current flooring. If so, make sure to tell your contractor as their plan of action may change based on this desire. An experienced contractor will be able to avoid the obstacles that can come up during carpet and flooring removal. For example, the underfloor can be easily damaged in the process of removal. Additionally, dangerous dust and debris can arise from your old carpet during removal that can cause respiratory problems and allergies. Glue residue and chemicals can also present issues during flooring removal, but a contractor has the tools and knowledge to prevent problems. 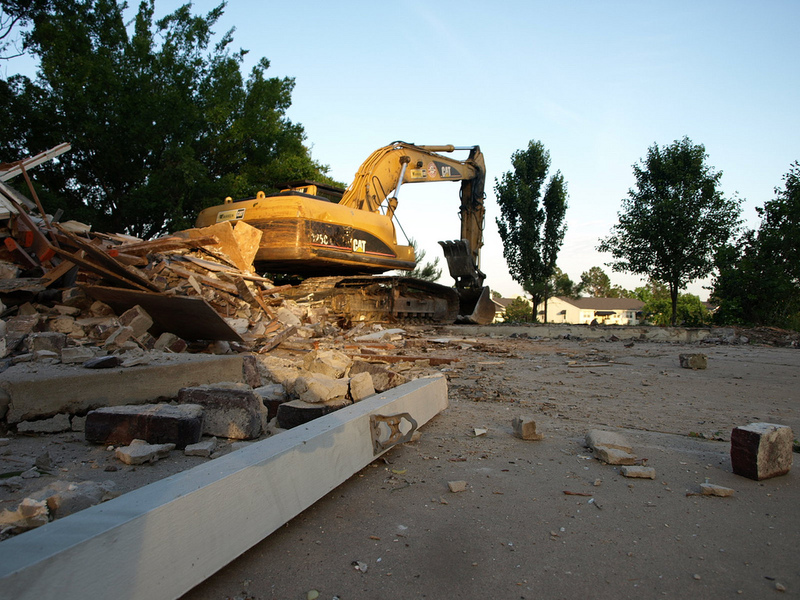 Safety is key in any demolition project, but it is especially important to take extra precautions when taking down a structure that is much larger and heavier than you are. When your shed has outlived its usefulness, it’s time to take it down. Shed demolition and removal, however, can come with a lot of uncertainty that can bring danger. This is especially true if your shed has been around for a long while. That being said, shed demolition is similar to the construction process in that it is a project that takes patience and a step-by-step approach. A contractor will start by safely removing the windows, doors, and any other loose items that remain on the shed such as lights. Next, it’s essential that the roof is removed. This is the part of the process that takes away most of the shed’s stability, so it’s important that the roof removal is done safely to avoid destruction of the shed that could cause severe injury. Broken glass and other sharp items, rusted fixings such as nails and bolts that can be difficult or impossible to remove, sections that are too heavy for one person to lift, and disposal are just some of the problems that can be faced if you decide to take on demolition as a DIY project. A contractor will know how to handle each and every one of these problems and can get the project done swiftly and safely. So you’ve decided it’s time to get rid of that rusting, abandoned playset in your backyard. While it may have gotten a lot of use in the past, there comes a time when the playset is no longer in use. Years of weathering and damage can not only make a playset appear unsightly, but can make it a hazardous area for any children who stumble upon it. Contractors see this all the time. We’re experienced in taking down playsets because they’re so often in need of demolition. First, a contractor will remove any swings, ropes, or wayward parts on your playset. Then, any extensions such as monkey bars or swingset rails will come off. That’s when the contractors begin removing the roof of the playset and then dismantling the remainder. Anyone who works in an office knows that when the office needs a renovation, the construction needs to be done quickly and carefully. Any injuries that occur because of faulty office cubicle removal or office demolition can result in injured employees and this can cost the company big money. While office cubicles are relatively easy to take apart, the job requires several tools and a lot of time for each desk detachment and cubicle removal. Depending on the number of cubicles you are removing, the job could take several hours to several days of labor. This could also depend on the type of cubicles your office space is using, whether there is an attachment to a connector rail, and the number of storage shelves in your cubicles. Each aspect needs attention and removal. Office cubicles cannot be recycled like other forms of demolition debris (such as plywood) because of the large amounts of metal and plastic-based cloth used in creating them. Your contractor will likely have a handy connection to an office cubicle recycling or pick-up group that can assist in getting rid of the debris quickly and easily. Alternatively, a contractor can work with you to perform a demolition extra carefully to save your office cubicles for resale or refurbishing following removal. The ease of a landscaping removal project varies greatly depending on several factors, such as the look you are going for when it comes to your landscaping project, the extent of any replacement you plan on implementing, and the state of your yard as-is. Before attacking a landscaping removal project, ask yourself a few questions. Is there a surplus of rocky terrain in your yard? Are you not sure what you want your yard to end up looking like? Do you want the project done swiftly? If you answered yes to any of these questions, you’re going to want to contact a professional to get started and begin planning your project. No one should go into a large-scale landscaping project without a plan. An experienced contractor can not only assist in telling you what could look great on your land, but will be able to give advice on how well your project will thrive based on the region’s weather, your land’s soil quality, and the layout of your land. Additionally, removal of any landscaping can be dangerous as it may have an impact on the efficiency of your electric lines, your septic system, or your water lines. It’s extremely important to know where these important lines and pipes are and be mindful of them before doing any digging. At the end of the demolition, a good contractor will take precautions in removing debris. Debris removal is arguably the most important step, as nails, splinters, tools, and sharp metal shards left behind after a demolition project can cause serious injury. There is no reason these dangers should be present in your home following a project when you’ve trusted a contractor with the task. Make sure you know how your contractor is getting rid of the debris from your demolition project. 20% of what people call “waste” coming from a demolition project is wood. This wood alone can easily be recycled by a knowledgeable demolition contractor who cares for your home and for the environment. A property owner should feel comfortable asking their contractor about the demolition process and the reasons behind any methods used. With such a dangerous task at hand, it makes sense that a property owner should be confident in their contractor’s abilities to safely and effectively carry out any demolition project. If you’re interested in starting up your own demolition project, contact us at (618) 659-9007 or send an email to info@cjd.construction. Home builders must keep up with demands of potential buyers. 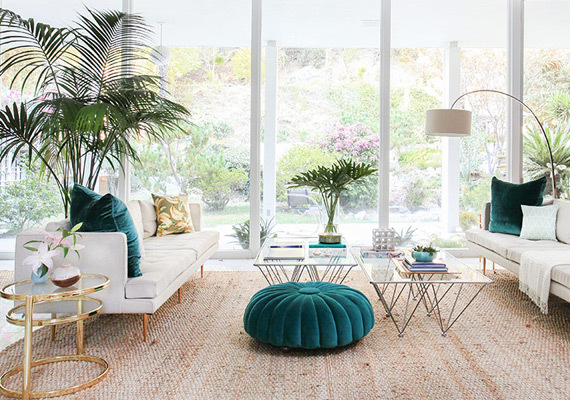 New home trends 2015 focus on usability and access of indoor spaces. Therefore, builders must learn to be more creative in design, to attract both younger and older buyers. One of the biggest trends is the need for space that serves multiple functions. Home office space is still wildly popular. But, using the same space for crafts, as an art studio, and as a library requires more careful planning. Recessed shelving and storage are additional features that may sell a house with home office space.